A group of works that describe the similarities between the eye of the painter and photographer – whilst the realisation of the work appears quite different in technique. 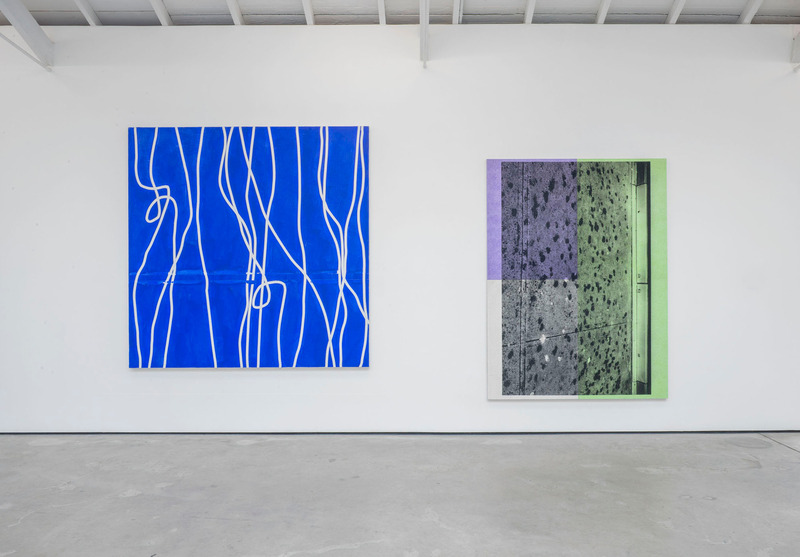 Each of the works resonates its matter with the next, helped by the sound created for the show. Nothing is static, it’s all alive, and each appear to dance through the rhythmic vibrations within their constructed category, whether it be high definition ink jet print or ink painted on canvas. 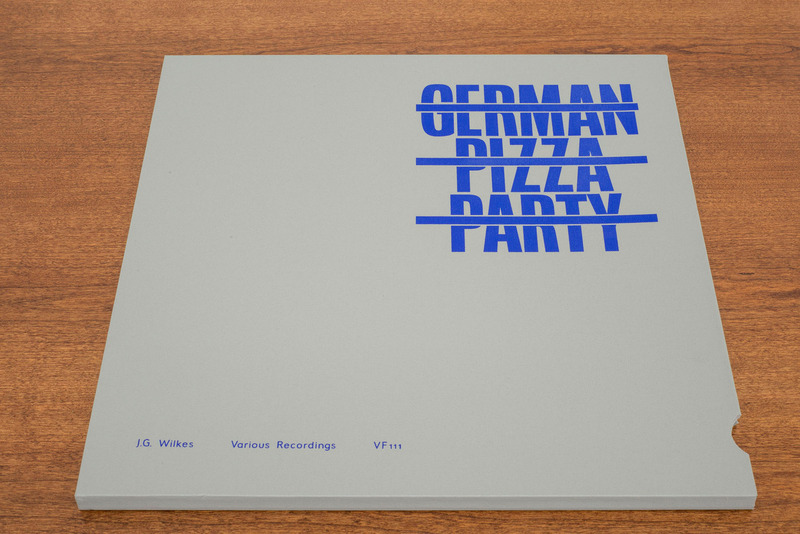 For ‘In NO time’ Jonnie Wilkes has produced a limited edition vinyl ‘German Pizza Party’, released by The Vinyl Factory, London and The Modern Institute. 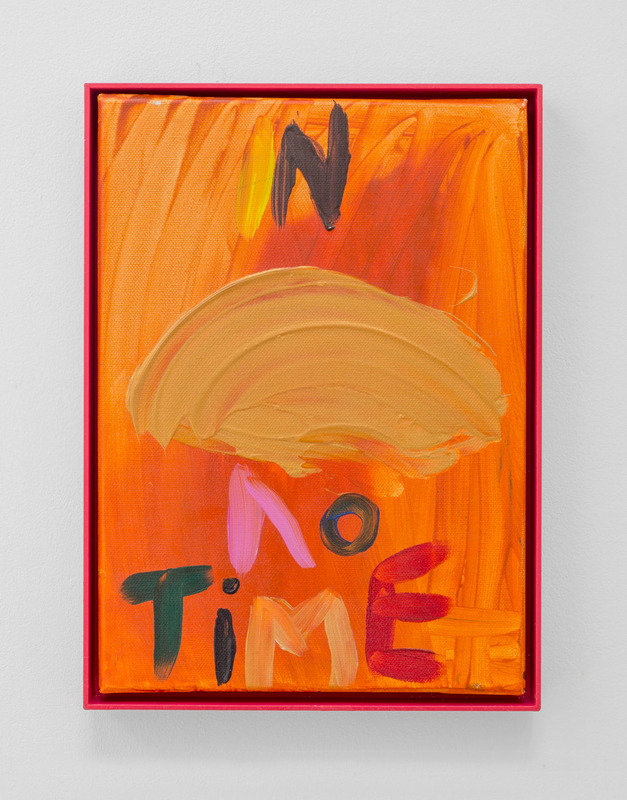 Matt Connors (b.1973, Chicago) lives and works in New York. 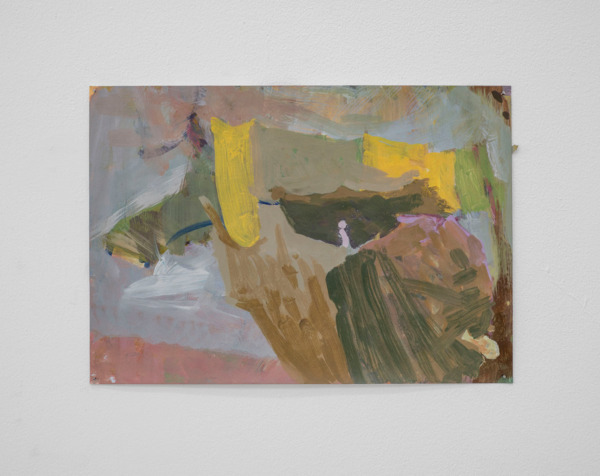 Connors graduated with an MFA from Yale University School of Art in 2006. He has exhibited throughout Europe and America, recent solo exhibitions include those at: Cherry and Martin, Los Angeles (2014); Herald Street, London (2013); MoMA PS1 (2012); and Kunsthalle Düsseldorf, Germany (2011). 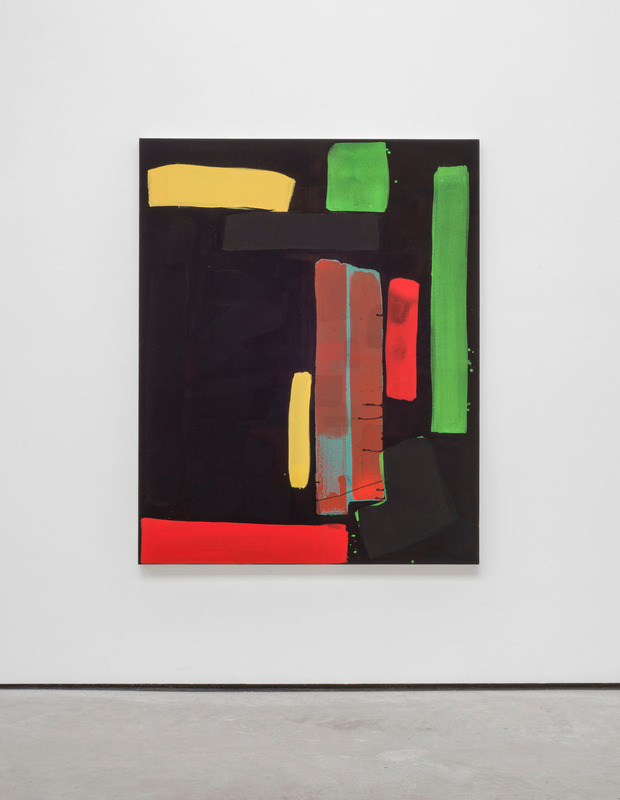 Connors has an upcoming solo exhibition at CANADA, New York in 2014. 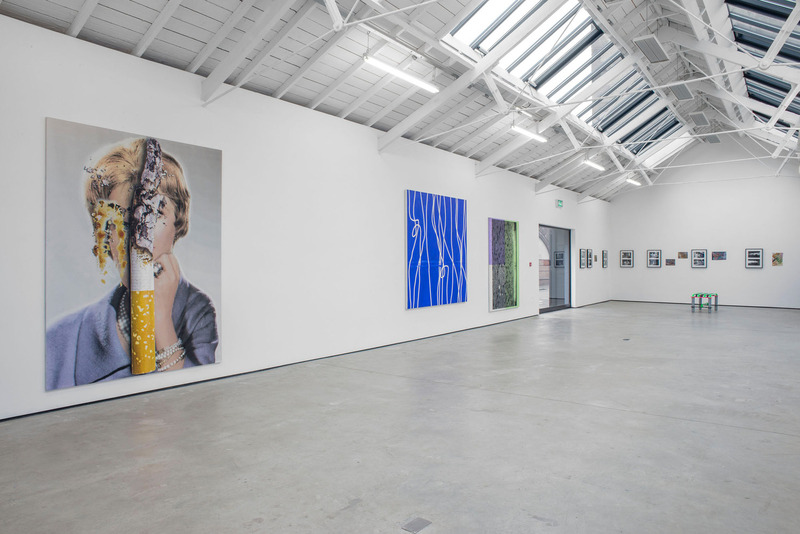 Luke Fowler (b.1978, Glasgow; Lives and works in Glasgow) is an artist, filmmaker and musician. 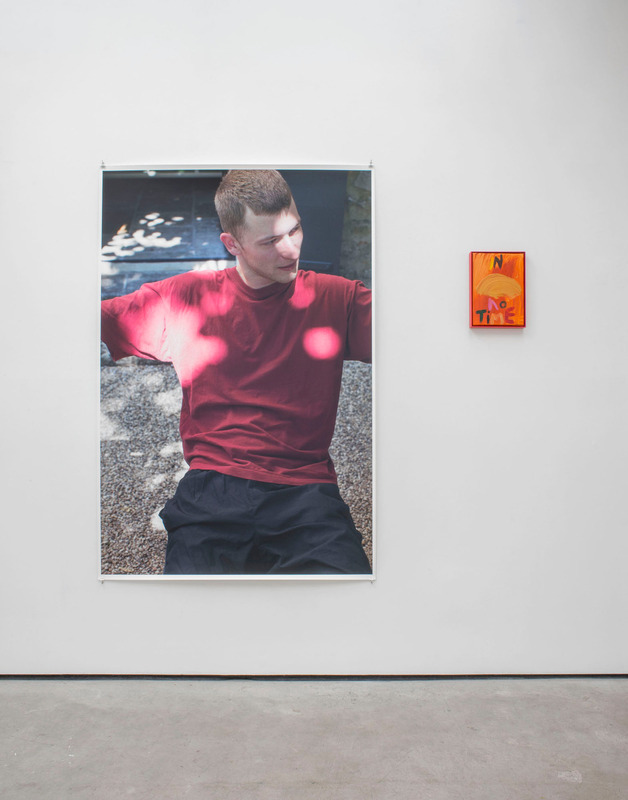 Fowler was awarded the inaugural Derek Jarman Award in 2008 and nominated for the Turner Prize in 2012. 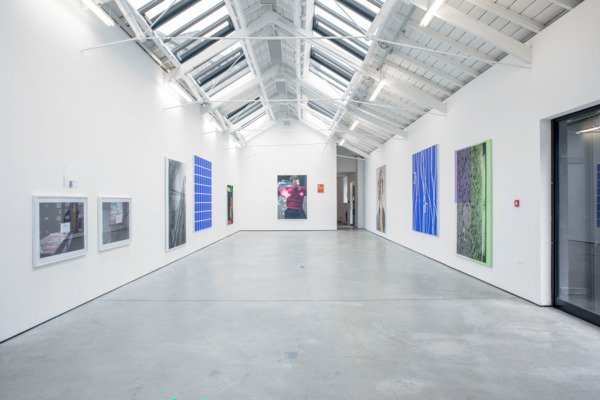 He has shown his work internationally within exhibitions, film festivals and screenings. Selected solo exhibitions include those at: The Hepworth, Wakefield (2012); Inverleith House, Edinburgh (2012); CCS Bard Galleries, New York (2011); and Serpentine Gallery, London (2009). Fowler will be presenting work at the National Portrait Gallery, Edinburgh in 2014. Isa Genzken (b.1948, Bad Oldesloe, Germany) lives and works in Berlin. 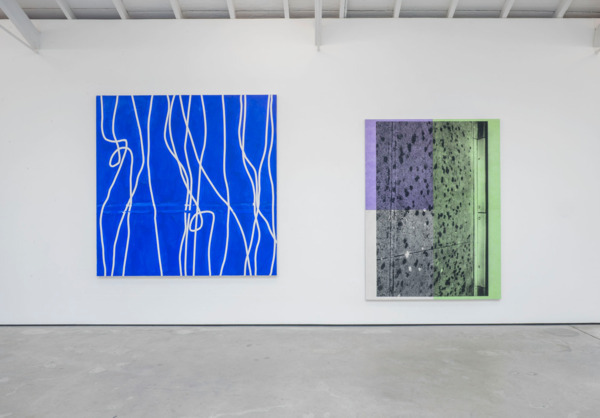 Genzken is currently the subject of a major retrospective in the US, which is the first comprehensive overview of her body of work in an American museum, spanning the last 40 years of her practice. 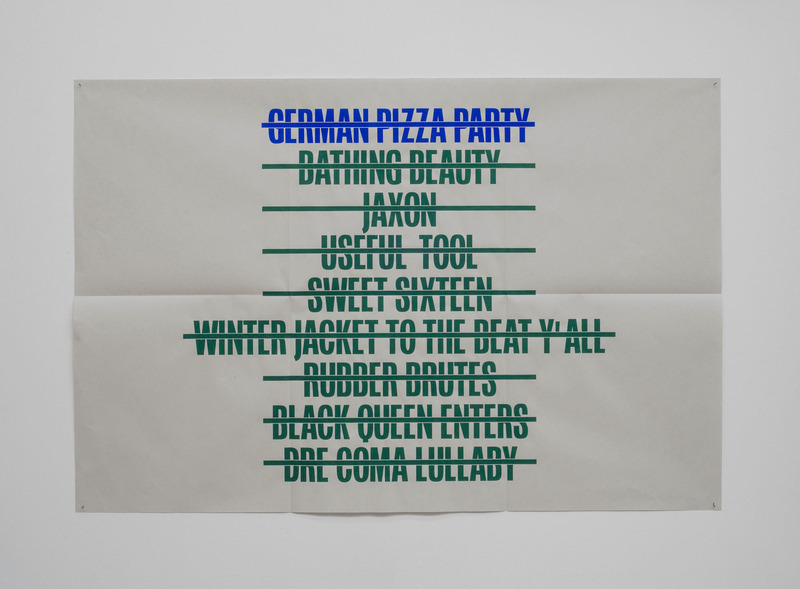 ‘Isa Genzken: Retrospective’ opened in MoMA, New York in 2013, the exhibition is touring to several major museums in America throughout 2014. 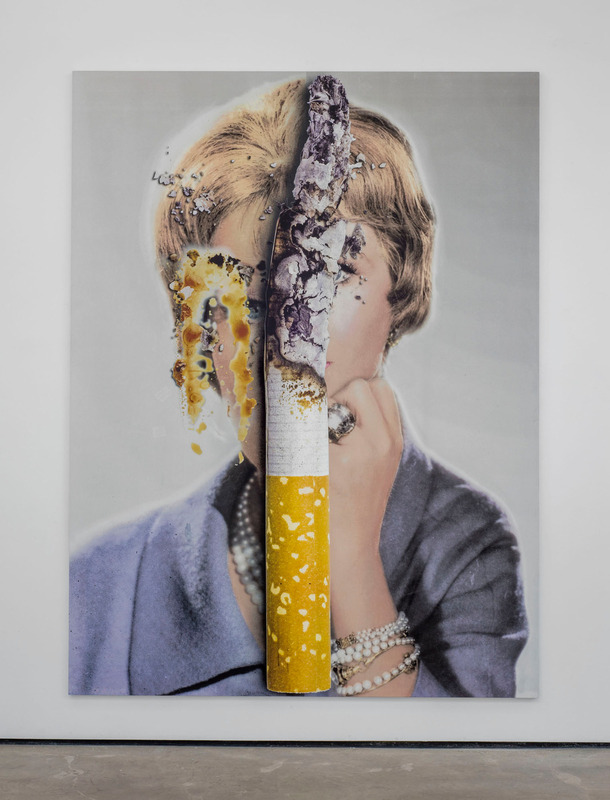 Genzken began exhibiting in the 1970s and has shown work in numerous museums and galleries worldwide. 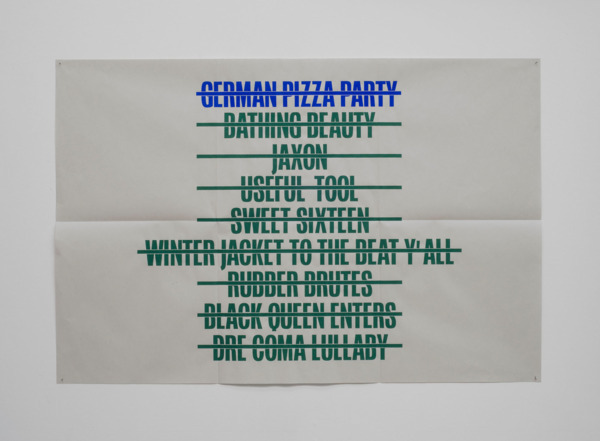 Genzken represented Germany in the 52nd Venice Biennale in 2007. 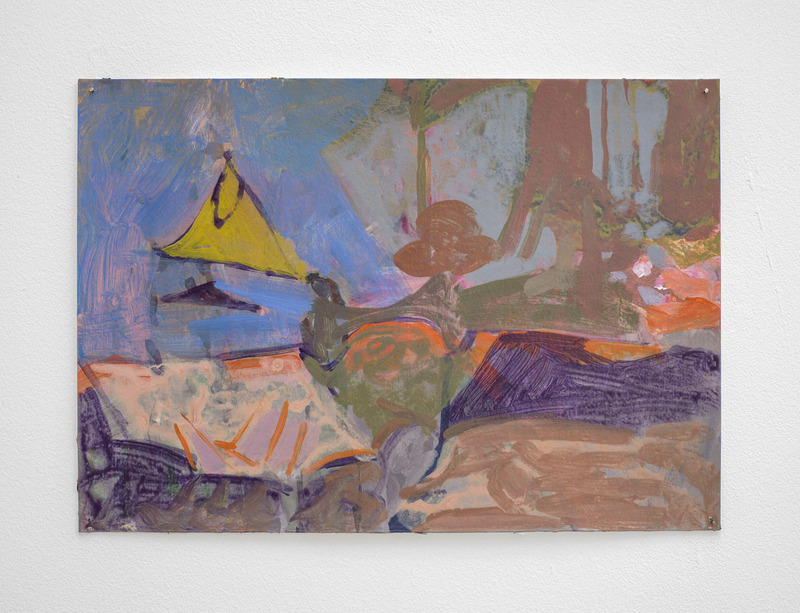 Andrew Kerr (b.1977, Glasgow) lives and works in Glasgow. Kerr has exhibited within Europe and America. 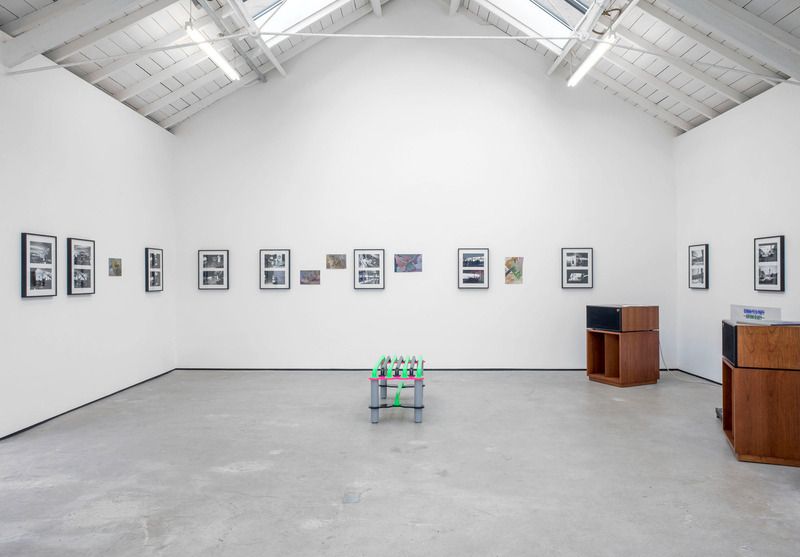 Recent solo exhibitions include: Shane Campbell Gallery, Chicago (2014); The Modern Institute, Glasgow (2012); Inverleith House, Edinburgh (2011); and Kunstverein Bremerhaven (2009. 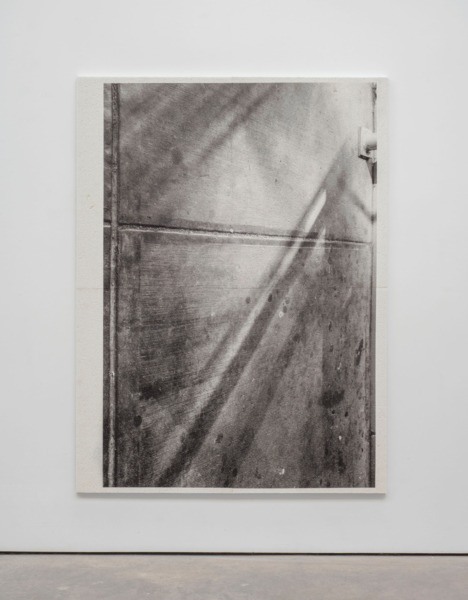 Kerr has presented work in group shows at De La Warr Pavilion, Bexhill (2014); GoMA, Glasgow (2013); Talbot Rice Gallery, Edinburgh (2011); and Charlottenborg Museum, Copenhagen (2002). Adam McEwen (b.1965, London) lives and works in New York. 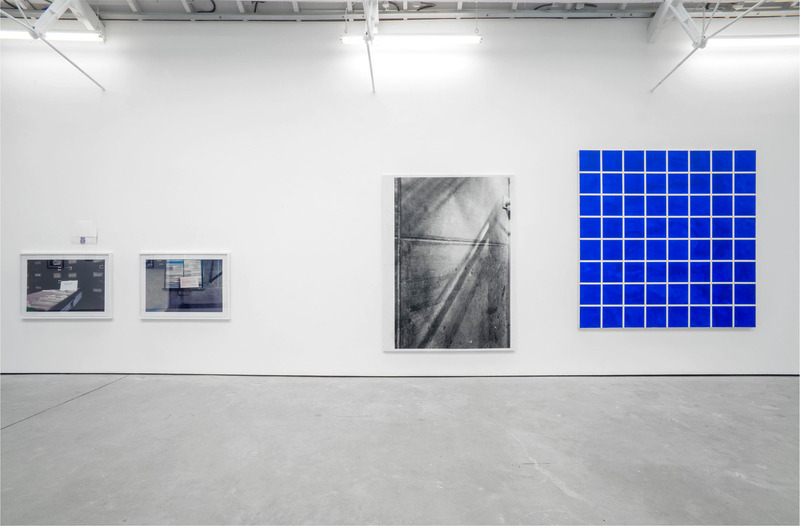 Recent and current solo exhibitions include those at: Capitain Petzel, Berlin (2014); Galerie Rodolphe Janssen, Brussels (2013); The Modern Institute, Glasgow (2013); The Goss Michael Foundation, Dallas (2012); and Marianne Boesky Gallery, New York (2011). He has participated in numerous group shows across America and worldwide including those at: Indianapolis Museum of Art, Indianapolis; Guggenheim Museum, Bilbao; Museum of Contemporary Art, Miami; MoMA PS1, New York; Hayward Gallery, London; and Whitney Museum of American Art, New York. 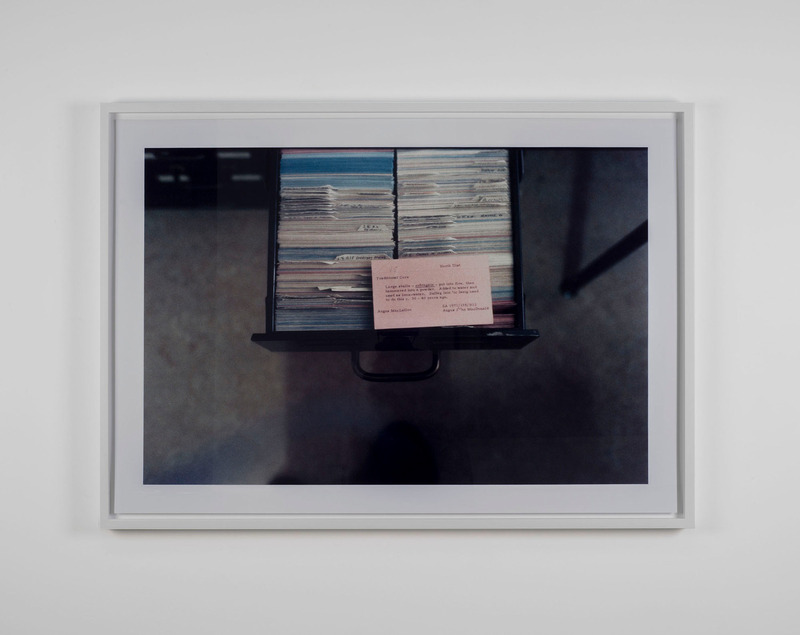 Wolfgang Tillmans (b.1968 Remscheid, Germany) lives and works in London and Berlin. Recent major solo exhibitions in 2013, include those at: Les Rencontres d’Arles, Arles; Museo de Artes Visuales, Santiago; Museo de Arte de Lima, Lima; Kunstsammlung NRW (K21), Düsseldorf; and Museo de Arte del Banco de la República, Bogota. 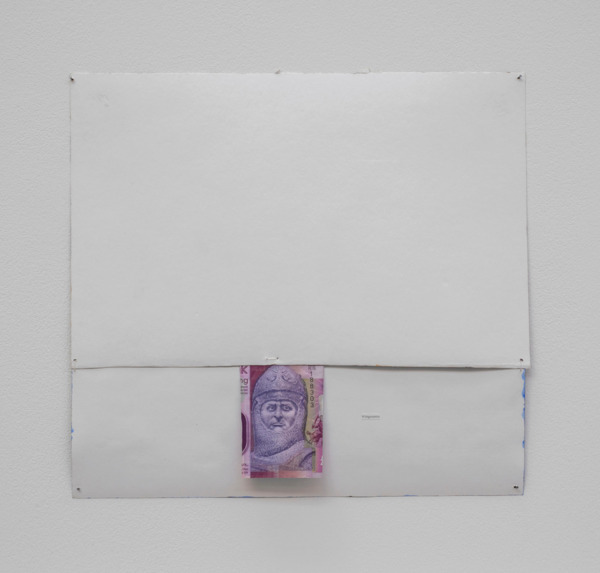 In 2012 include those at: The Common Guild, Glasgow; Kunsthalle Zürich, Switzerland; Museo de Arte Moderna, São Paulo and Moderna Museet, Stockholm. Tillmans won the Turner Prize in 2000, and is currently an Artist Trustee on the Board of Tate, London. Sue Tompkins (b.1971, Leighton Buzzard) lives and works in Glasgow. Tompkins has been involved in a variety of exhibitions and performances in Europe and America, including recent solo exhibitions at: GoMA, Glasgow (2014); The Modern Institute, Glasgow (2013); Portland Museum of Modern Art, Portland (2013); and Midway Contemporary Art, Minneapolis (2013). She has performed within numerous exhibitions and recently presented her new work ‘Orange Brainwash Tribute’ live for BBC Scotland. 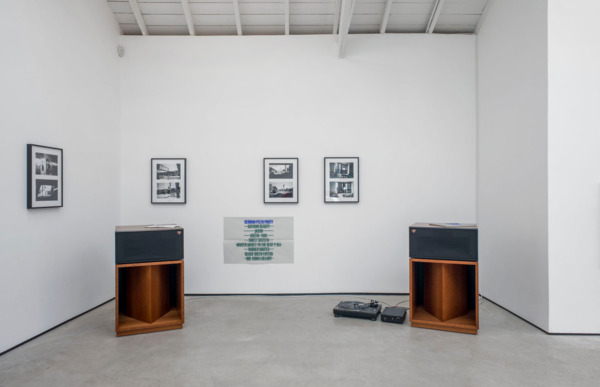 In 2014 Tompkins will present a new sound piece with Inverleith House, Edinburgh, as well as works in the National Gallery, Edinburgh and a performance at Tramway, Glasgow. Jonnie Wilkes (b.1967, Belfast) lives and works in Glasgow. 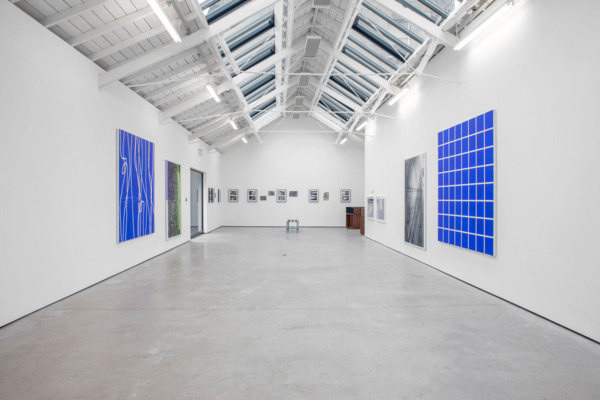 Wilkes has been involved in exhibitions within the UK and Europe, including those at: The Modern Institute, Glasgow (2009); Kiasma Museum, Helsinki (2000) and CCA, Glasgow (1997). Since 2001 Wilkes has predominately worked as a DJ and electronic music producer, and is one half of the DJ duo Optimo. Heimo Zobernig (b.1958, Mauthen, Austria) lives and works in Vienna. 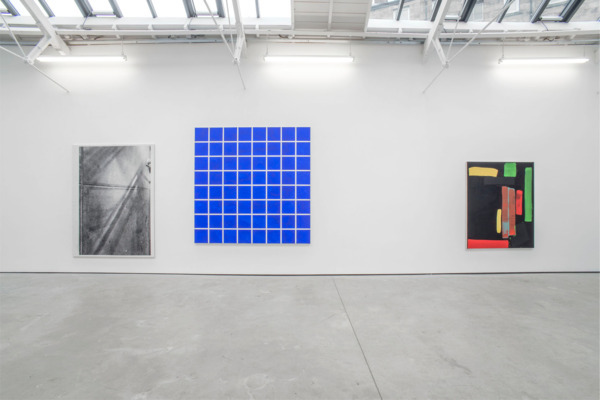 Zobernig has exhibited widely in international exhibitions including recent solo shows at: Kunsthaus Graz in Austria (2013) – touring from Museo Nacional Centro de Arte Reina Sofia, Madrid (2012); Kunsthalle Zurich and the Essl Museum, Vienna (2011); Centre Pompidou in Paris; Fundação Calouste Gulbenkian in Lisbon; CAPC, Musée d’art Contemporain, Bordeaux (2009); and Tate St Ives (2008). 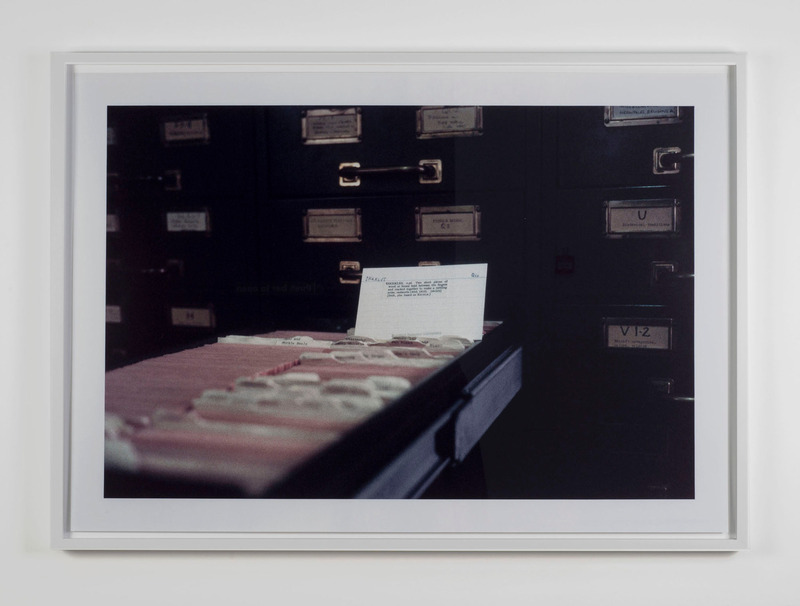 In 2010 Zobernig received the Frederick Kiesler Prize for Art and Architecture in Vienna. 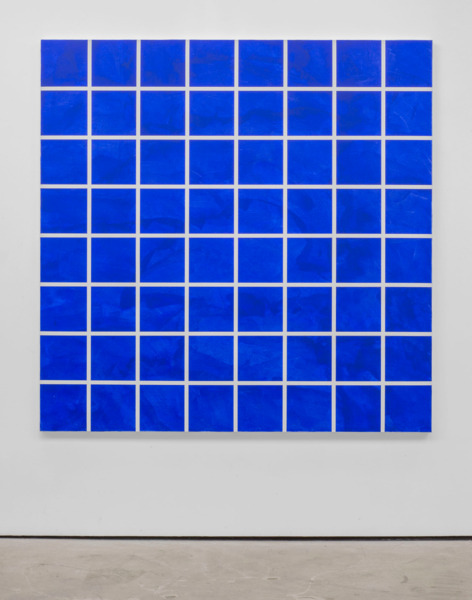 Zobernig has forthcoming solo exhibitions at Musée d’Art Moderne Grand-Duc Jean, Luxembourg in 2014, and Kestnergesellschaft, Hannover in 2015. The Modern Institute would like to thank Klipsch UK, Loud & Clear, Glasgow, and on behalf of Luke Fowler, Cathlin Macaulay and the School of Scottish Studies Archives.